Graduated from law school at Universidad de Costa Rica and member of the National Lawyers Association since September 1994. Business Administrator Master's Degree with emphasis in Corporate Governance also from Universidad de Costa Rica in 2006. Founding partner of "BUFETE RAMÍREZ & BRENES". Specialized in Notarial Right, Intellectual, Commercial and Banking Property. 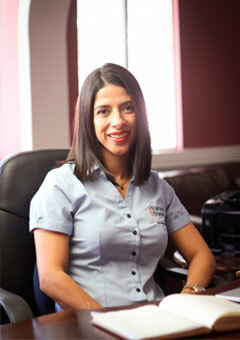 Worked as an assistant of recognized "Carazo, Montero and Fernandez Law Firm" for many years through her career. She is an External Attorney for Mutual Cartago de Ahorro y Préstamo, Banco Popular y de Desarrollo Comunal and Banco Nacional of Costa Rica where also is an external Notary.